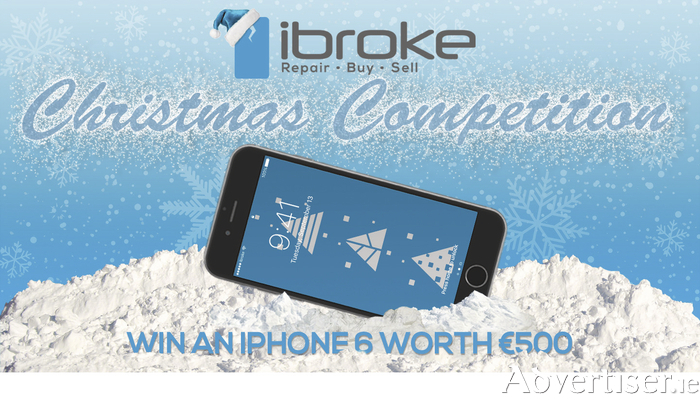 To celebrate the launch of their special Christmas offers iBroke Galway are giving you the chance to Win an iPhone 6 worth €500! iBroke is your No.1 shop this Christmas for all your Apple products. Based on the Tuam road they offer unbeatable prices up to 50% off the RRP on the high street prices. They offer a 6 month warranty with all of their products. iBroke's fully trained technicians have years of experience fixing all makes and models of phones and tablets. They can normally have your device back in perfect working order within 24 hours. All repairs are backed by their Lifetime Warranty. To be in with a chance to win this amazing prize simply answer the question in the form below. Closing date for entries is Tuesday13th December 2016.